Most of us consider the beloved tales of Winnie the Pooh by A.A. Milne a treasured part of our childhood. 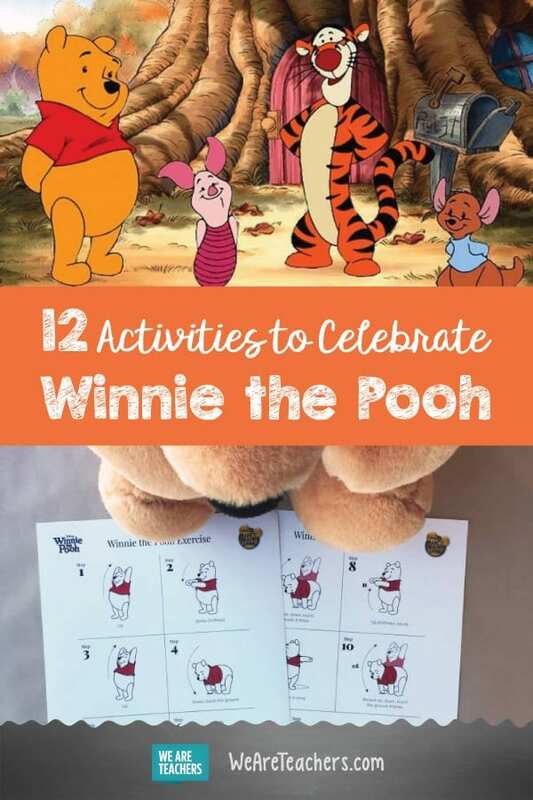 To help your students celebrate these classic stories, we’ve gathered a dozen fun Winnie the Pooh activities for the classroom. 1. Make a fact book about your favorite character. After reading the stories together, have students pick their favorite character and create a fact book about them. Include drawings and maps as well as information such as what their personality is like, what they like to eat, and what phrases they say. 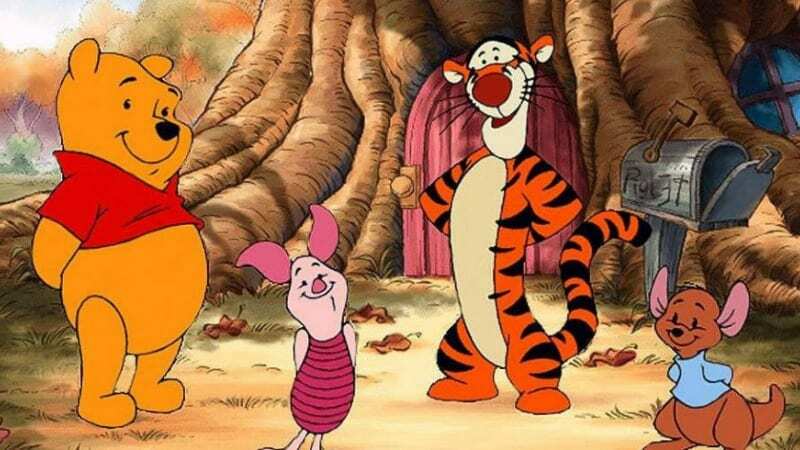 Get in the groove with some of Winnie the Pooh’s moves. 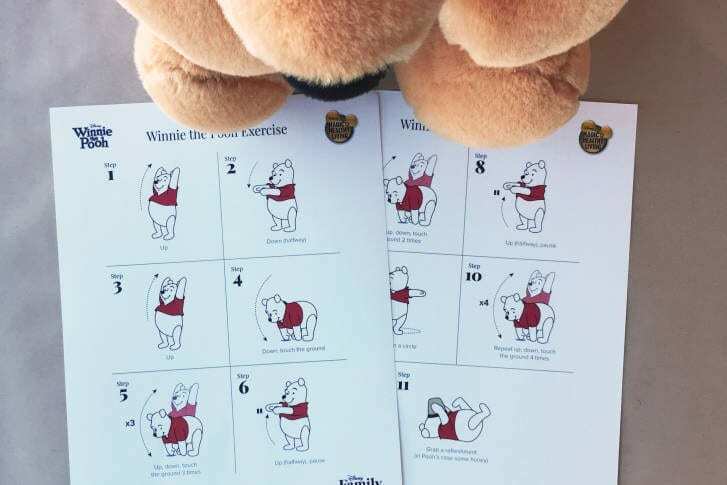 Display this free printable and teach your students the famous Up, Down, Touch the Ground routine from Winnie the Pooh and the Honey Tree. 3. Write an adventure story starring your own favorite stuffed animal. Gather students together and create a chart documentng some of the adventures of the animals from the Hundred Acre Wood. Have students draw a picture of their own favorite stuffed animal and write an adventure story starring themselves and their animal. 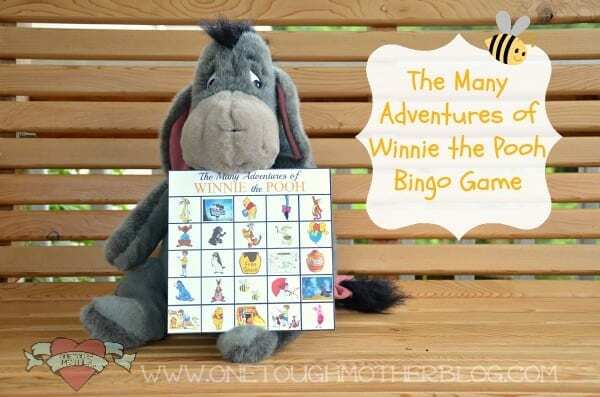 Grab a copy of The Many Adventures of Winnie the Pooh and follow along with these free printable bingo cards. As you and your students watch the movie, look for the images or scenes on the bingo card and mark them off as you see them. The first one to get five in a row wins! 5. Reenact a scene or two. Divide the class into small groups then give each group a situation from the Winnie the Pooh stories to act out for the class. Give each group five to 10 minutes to plan and rehearse. Some of the scenarios you could provide include Eeyore losing his tail, Pooh getting stuck after eating too much honey, or Tigger getting lost in the forest. 6. Go on a Pooh picnic. 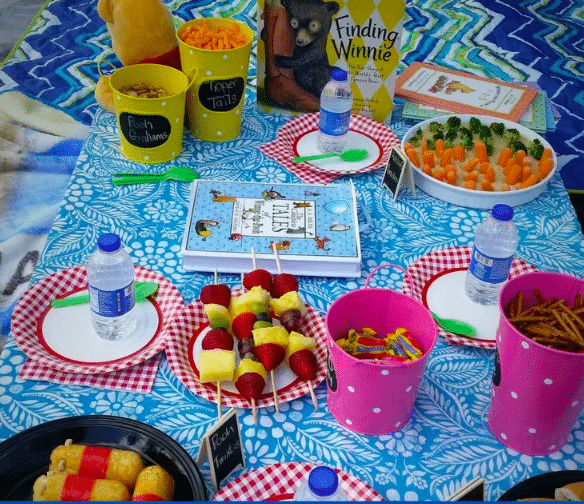 Invite parents to participate in a Pooh Bear picnic by delegating the treat making. Bring along the book and have a little family read aloud time. Check out this blog for delicious treat ideas, including Pooh grahams, Tigger tails, Kanga kabobs and, our personal favorite, Pooh Twinkies! 7. Create a portrait gallery. Have students choose their favorite character from the stories and create a detailed portrait, using pencil, crayons, paint, or markers. Have them include some of the things that make their character special and include a frame around their masterpiece. Display all the portraits together, gallery style. 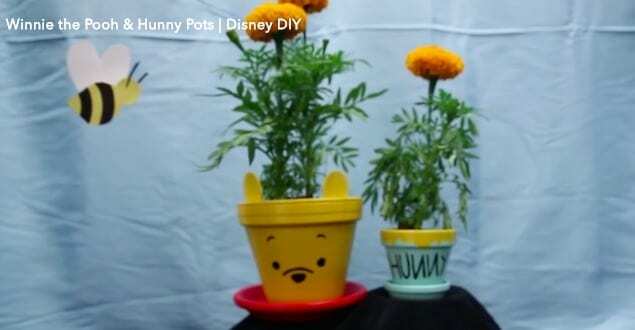 Paint these adorable Pooh Bear and Hunny Pot flower pots with this easy-to-follow video. You’ll need small terra-cotta pots for the Hunny Pot, medium terra-cotta pots for Pooh Bear, acrylic or tempera paints, and paintbrushes. 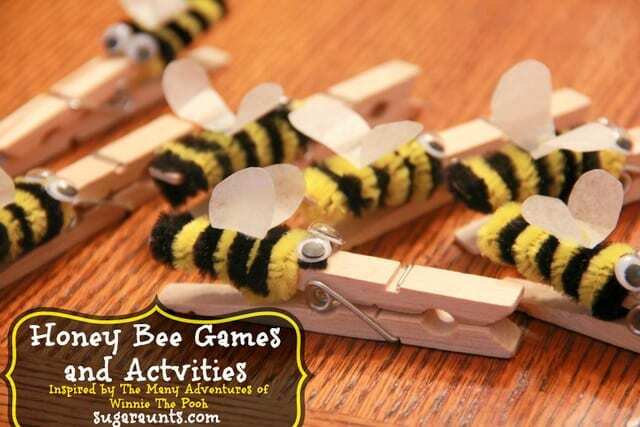 Make these adorable honeybees out of clothespins and pipe cleaners, then use them to help your students work on number awareness and one-to-one correspondence skills. This activity is also great for developing the fine motor skills needed for handwriting. Get step-by-step directions here. 10. Tie in some geography. Get the free 14-page geography lesson Where in the World is Pooh? by simply sharing your email address. 11. 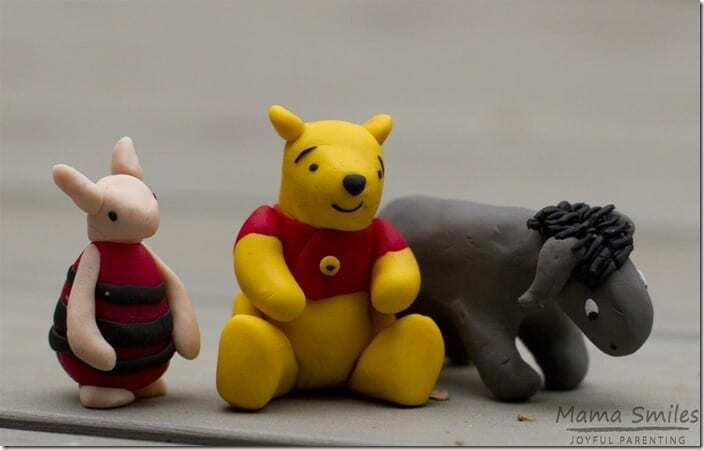 Make Pooh Bear figurines. Your kids will love creating these adorable clay figures together by using the step-by-step tutorials in this blog. The author recommends using Crayola model magic or Sculpey III polymer clay. During writing workshop time, have students write letters to their favorite Pooh characters. Have them share what they like best about the character as well as details about their own lives. What are your favorite Winnie the Pooh activities? Share your ideas in our WeAreTeachers Chat Facebook Group. And check out another roundup of fun activities to pair with a childhood classic, 15 Activities for Teaching Peter Rabbit.